The Northern Assembly of Creative Technologists (NACT) looks to embrace diversity and connection with multiple technology platforms to create a generalised forum for people that enjoy using a range of technologies for creative means. After no meetup in March, we’re back with a talk from composer and performer Manoli Moriaty, presenting his work Symbiosis. Manoli is a composer, performer, and researcher. 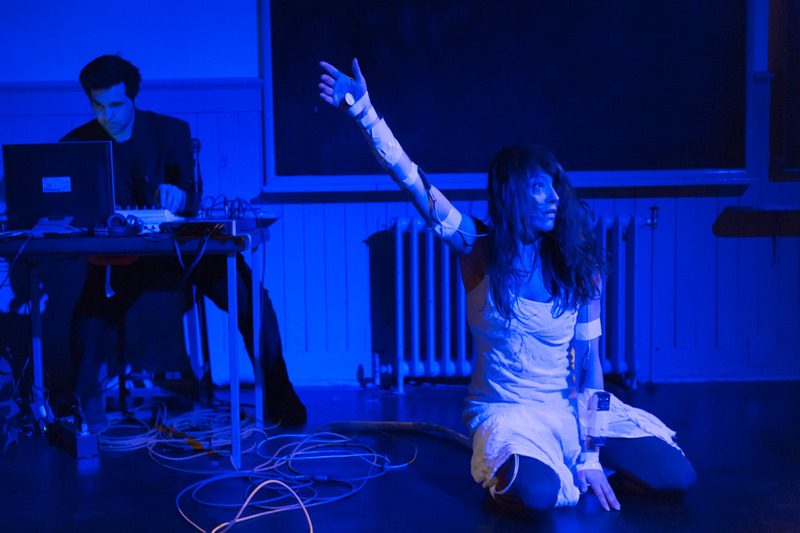 His practice includes cross-disciplinary performances, self-made noise systems, and electroacoustic tape works, with international presentations at music festivals, performing arts exhibitions, and academic conferences. Currently, he is researching collaborative interdisciplinary performance at the University of Salford under the supervision of Stephen Davismoon. He is a member of the Hellenic Electroacoustic Music Composers Association (HELMCA), and the founder and co-curator of the sound art collective Metanast.